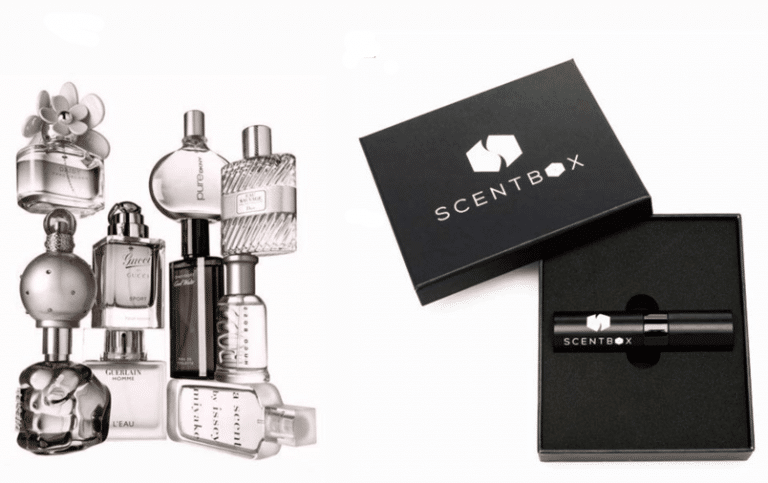 Scentbox is a fragrance subscription box that sends out a travel size perfume sample each month. The sample will last for 31 days, at about 4 spritzes per day. 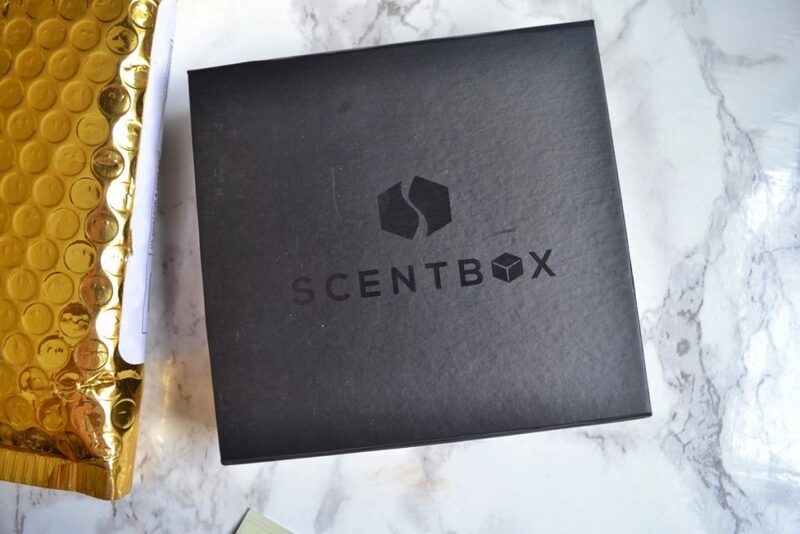 Scentbox is currently running a promotion for 30% off of your first month. This is automatically applied at checkout. 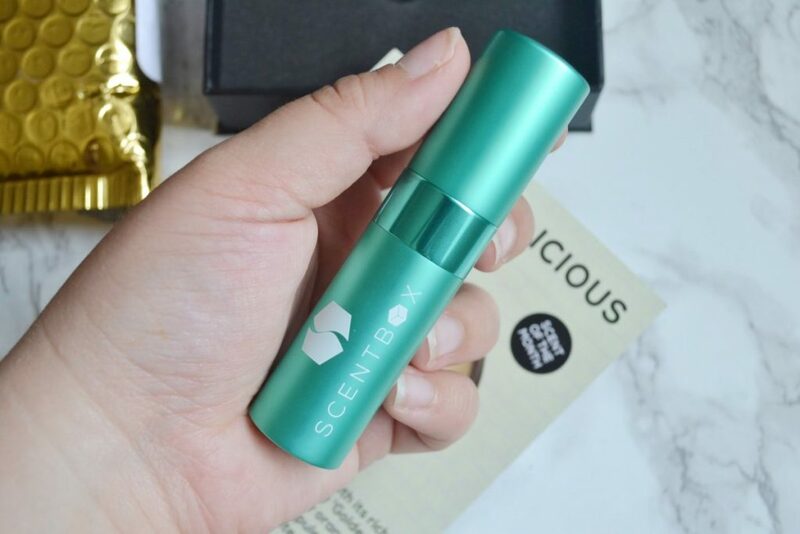 When you sign up for Scentbox, you can use their calendar to pick your perfumes up to a year in advance. If you don’t choose a perfume, you will instead be opted in for their Scent of the Month. You can decide if you want to receive the men or women’s fragrance. 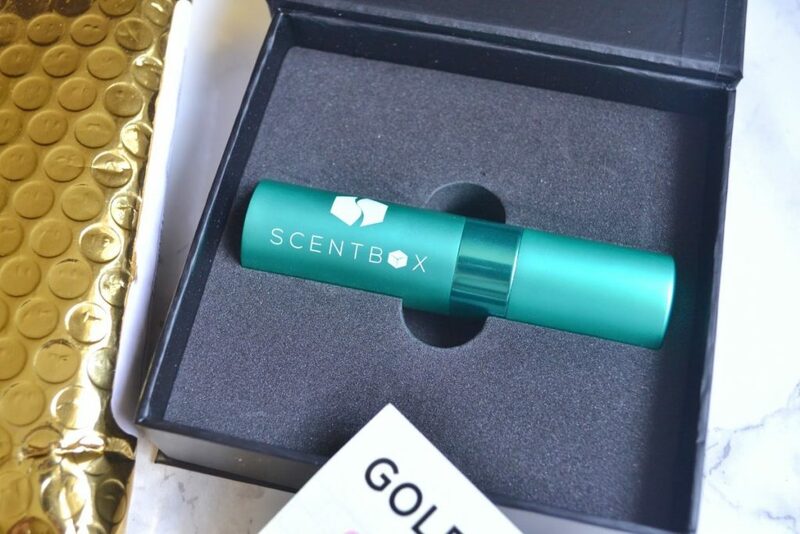 Today, I will be reviewing Scentbox’s June Scent of the Month for Women. It arrived in a sturdy black keepsake box. 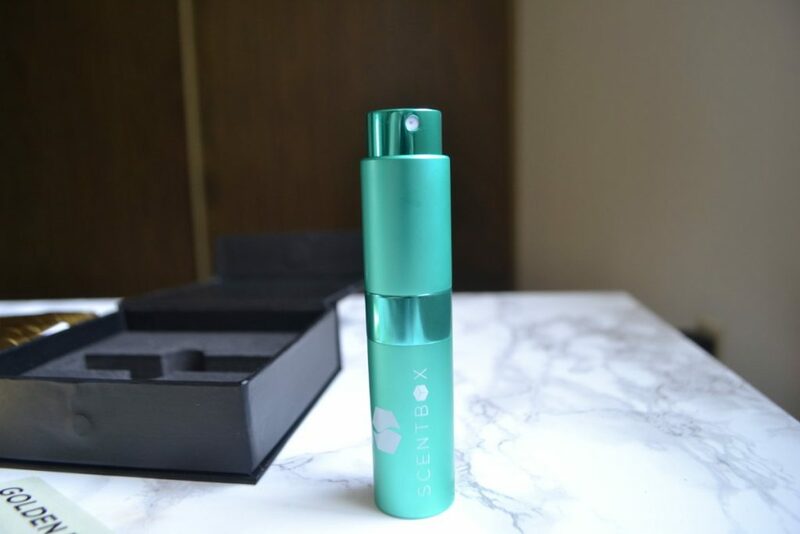 June’s perfume sample came in a teal travel atomizer. 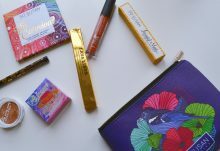 Scentbox has been changing colors each month recently, and I think this is my favorite so far! The atomizer comes with a twist-up nozzle. 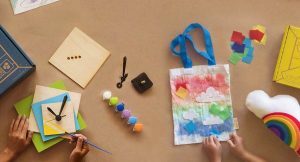 This design reduces accidental spillage, so I can toss it on my purse and use it on the go. 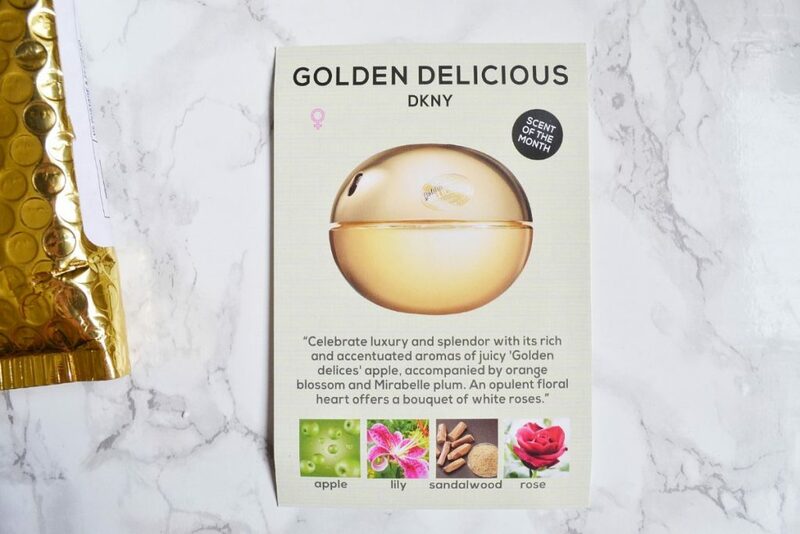 June’s Scent of the Month for Women was Golden Delicious from DKNY. It has notes of apple, lily, sandalwood, and rose. If you opted in for the Men’s Scent of the Month, you would have received Bentley Azure from Bentley – which has notes of pineapple, bergamot, tonka bean, and lavender. I actually wish I had received the Men’s scent this month, because I strongly dislike the smell of rose. Everybody who has smelled Golden Delicious on me loves it, but I just don’t care for it. 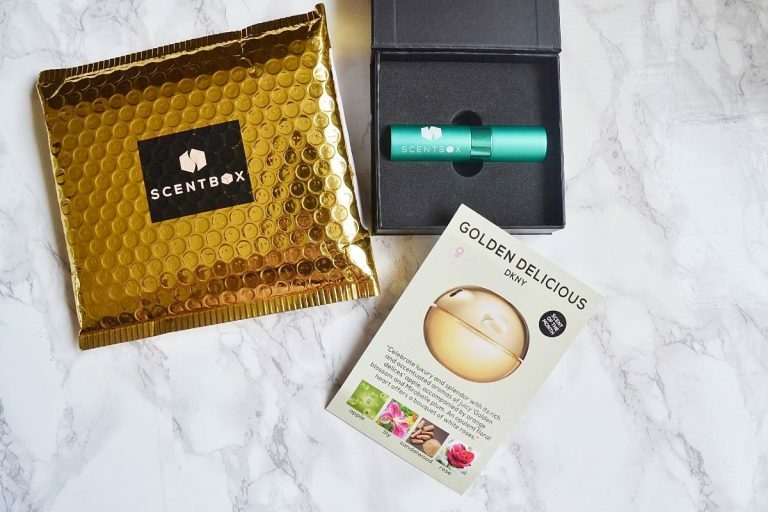 This doesn’t mean it’s a bad perfume – in fact, Golden Delicious has really good reviews online! The great thing about Scent of the Month is that you can pick your own perfume if you don’t like the Scent of the Month. I just like the thrill of not knowing what I will receive. A 1 oz bottle of Golden Delicious costs $52, so this .27 oz sample is worth $14.04. 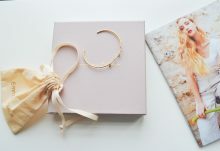 This is worth more than the cost of the subscription, so I’d say this month has great value! 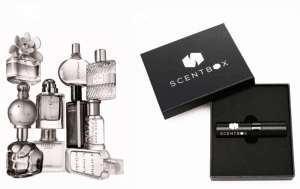 Overall, I still think Scentbox is a wonderful way to try sample sizes of perfume before buying. This month’s perfume wasn’t my favorite, but I have received so many wonderful perfumes over the past year. I know I will most likely love next month’s scent!